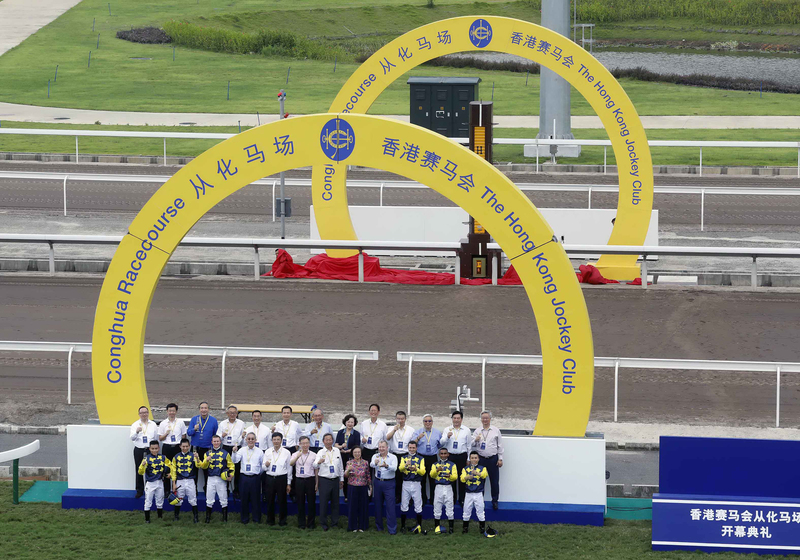 Officiating guests pull the bar to unveil the Winning Arch. 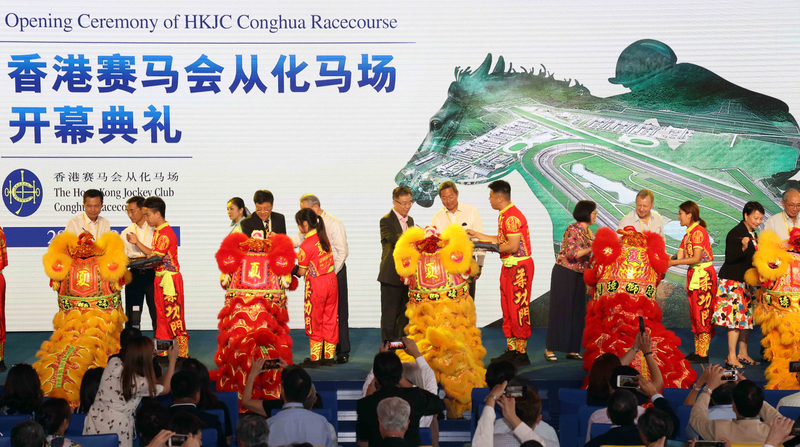 The Hong Kong Jockey Club Conghua Racecourse officially opened today (28 August 2018), marking the beginning of a new era for the sport of horse racing in Hong Kong and for the ever closer relations between Hong Kong and Guangdong. 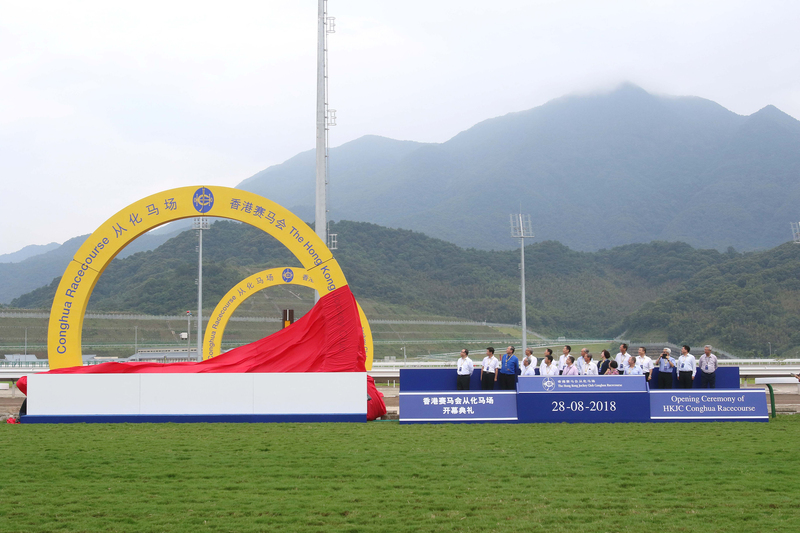 The Club celebrated this momentous occasion at an opening ceremony attended by more than 500 guests, including government officials from the Mainland and the Hong Kong SAR, Club members and horsemen, as well as partners involved in the development of the project. 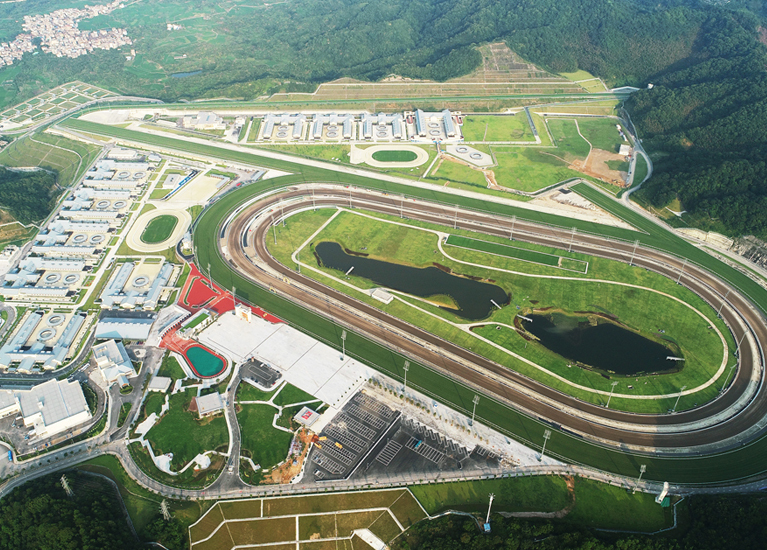 Situated in the Conghua District of Guangzhou in Guangdong Province, Conghua Racecourse is the first world-class racecourse and thoroughbred training centre in the Mainland. 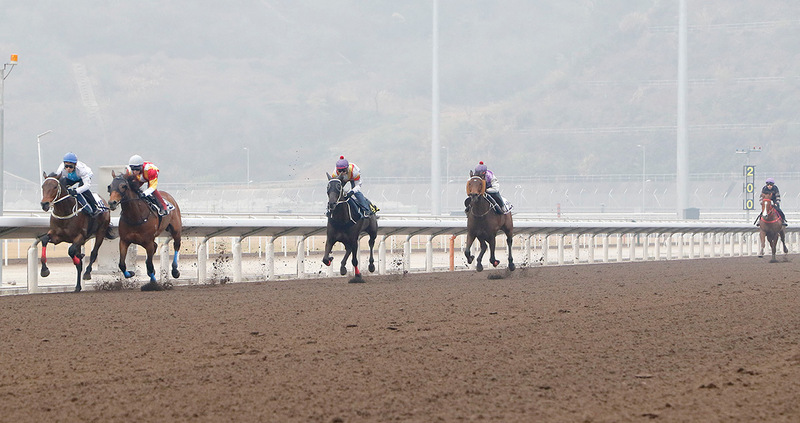 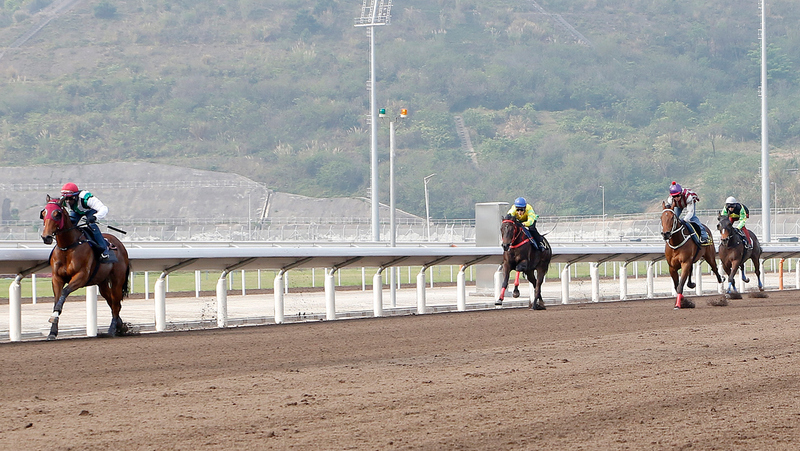 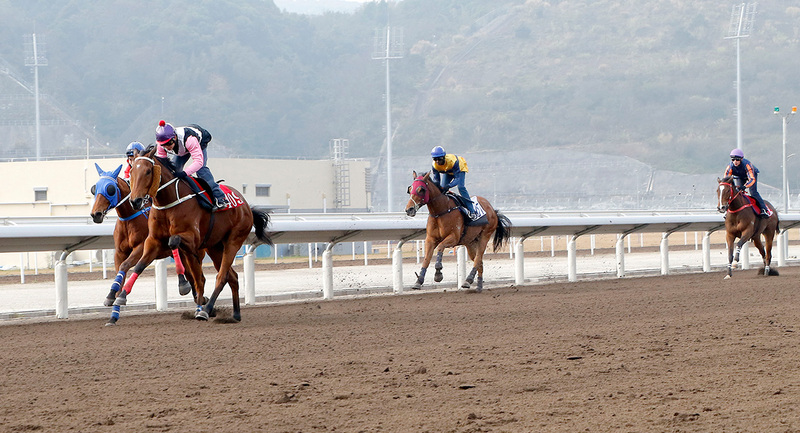 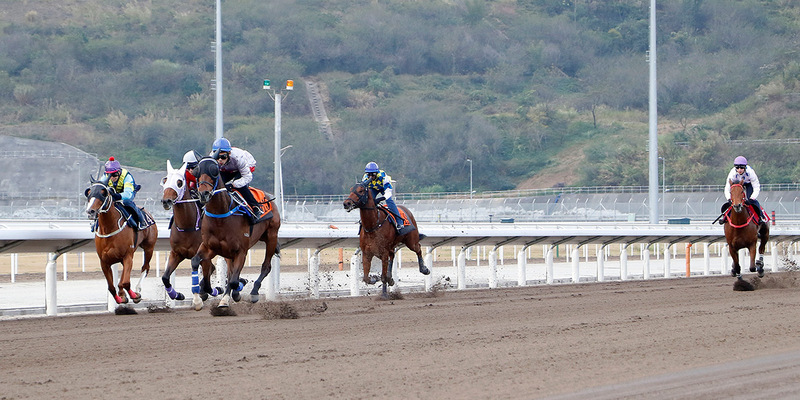 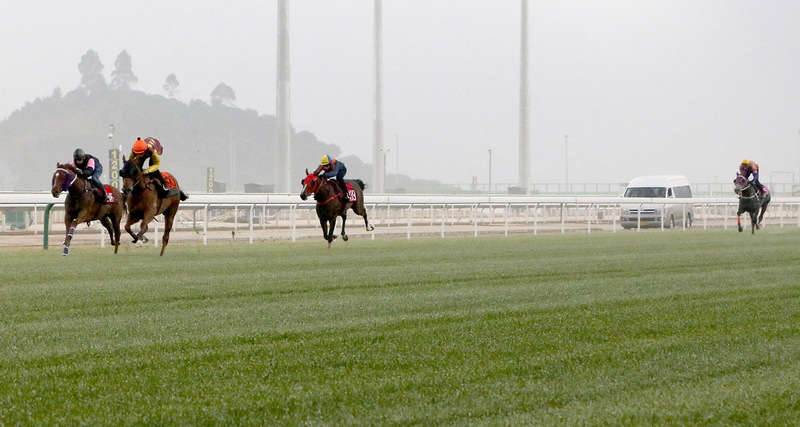 Operating as part of a dual-site model, Conghua Racecourse complements the existing training centre at Sha Tin. 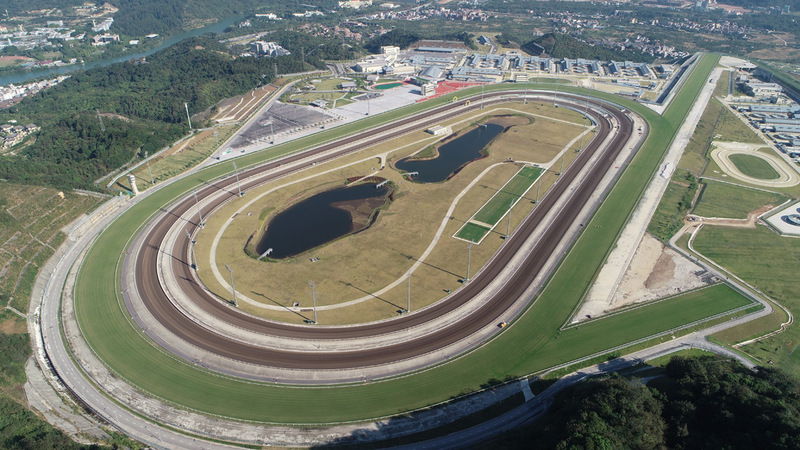 With its state-of-the-art stabling, training and horse-care facilities, it will enable the Club to further develop the quality of its world-class racing. 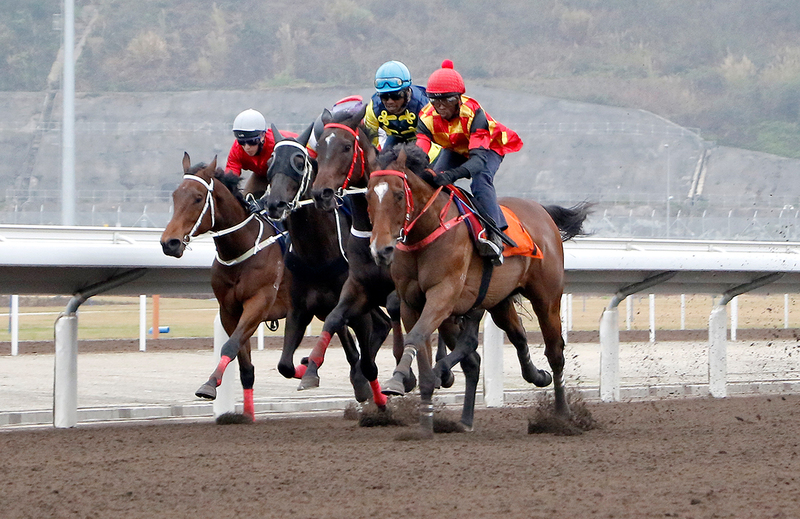 Essential to Conghua’s operation is its location in the Mainland’s only large-scale internationally recognised equine disease-free zone, which ensures that Hong Kong horses have the same health status in Conghua as in Hong Kong. 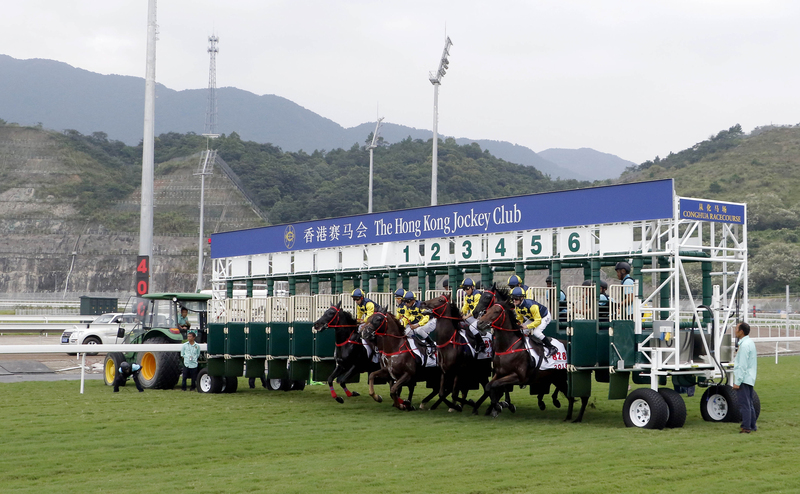 Under a series of special arrangements agreed between authorities in the Mainland and the Hong Kong SAR, horses are able to travel freely between Conghua and Hong Kong. 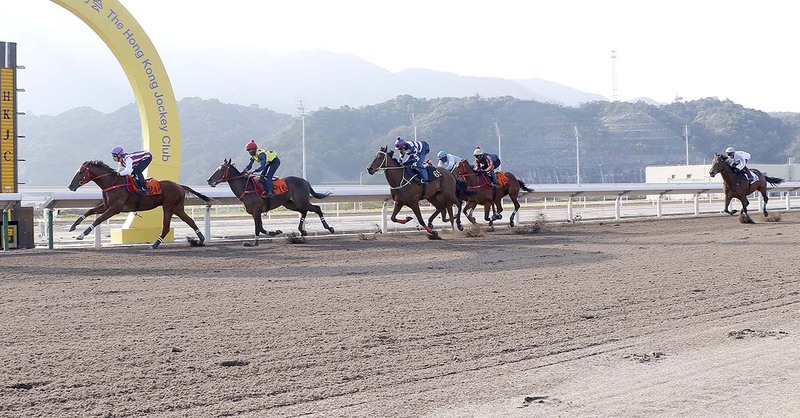 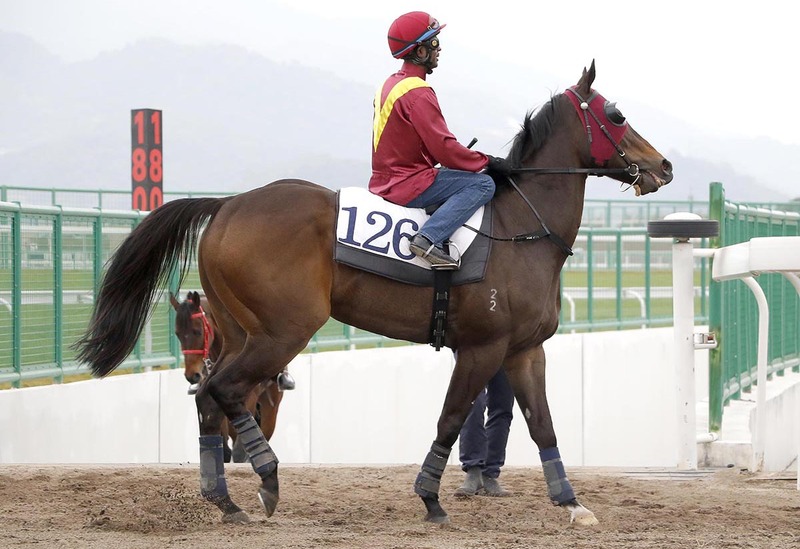 “At Conghua, we have highly experienced staff, ranging from racing, tracks and veterinary management to stables staff from Hong Kong, who are working alongside local employees trained under internationally accredited programmes developed in Hong Kong. 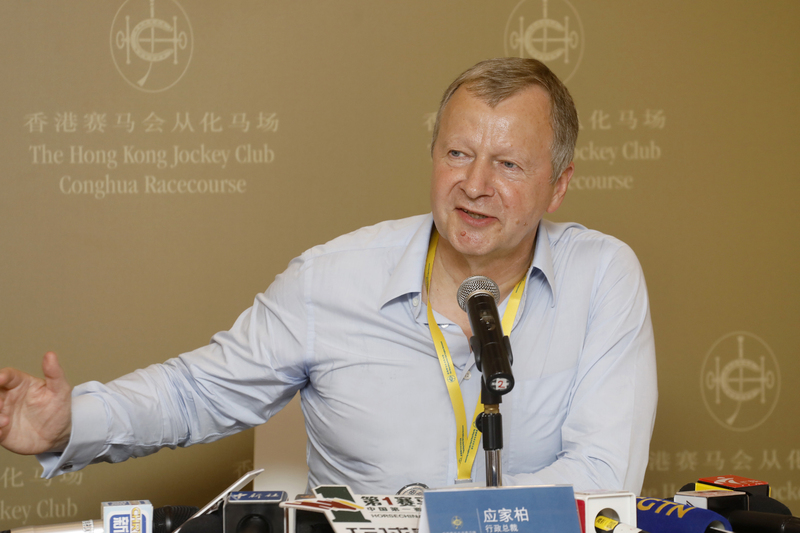 Together they will provide an excellent level of horse care, equal to that available in Hong Kong,” said Club Chief Executive Officer Winfried Engelbrecht-Bresges. 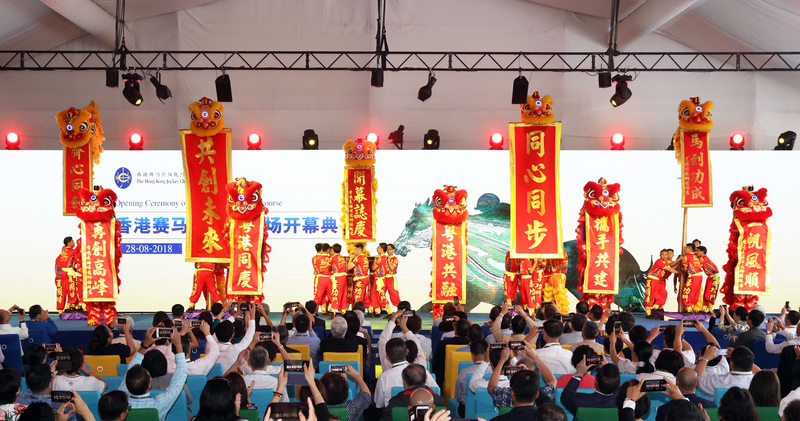 Also speaking at the ceremony were Mr Chen Jianhua, Chairman of the Standing Committee of Guangzhou Municipal People’s Congress, and Professor Sophia Chan, Secretary for Food and Health of the Hong Kong SAR. 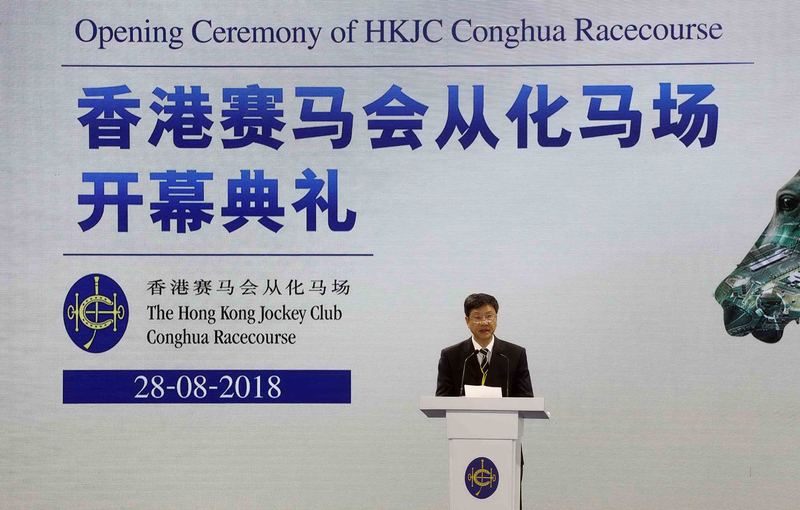 “Together with the Hong Kong SAR Government and the Hong Kong Jockey Club, Guangzhou will strengthen policy coordination, deepen pragmatic cooperation to guarantee good operation and development of Conghua Racecourse of the Hong Kong Jockey Club and make it a bond connecting the two sides, a bridge reaching the world, and a benchmark for Guangdong-Hong Kong cooperation,” said Mr Chen. 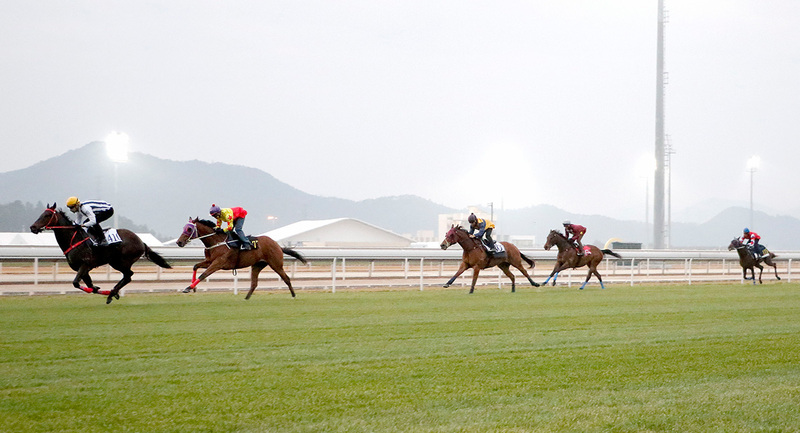 Conghua Racecourse will also contribute to the development of equine sports in the Mainland as well as to the economy and to employment. 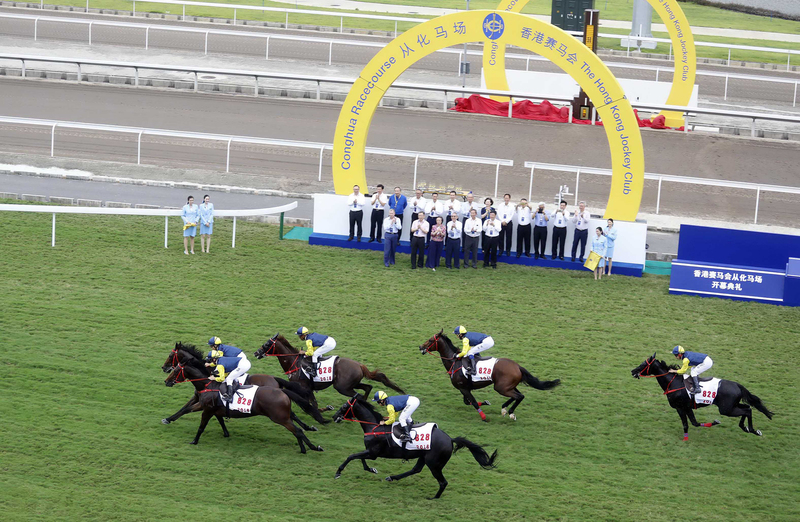 This continues the Club’s support for equine sports in the Mainland, including for the equestrian events of the 2008 Beijing Olympics and the 2010 Guangzhou Asian Games. 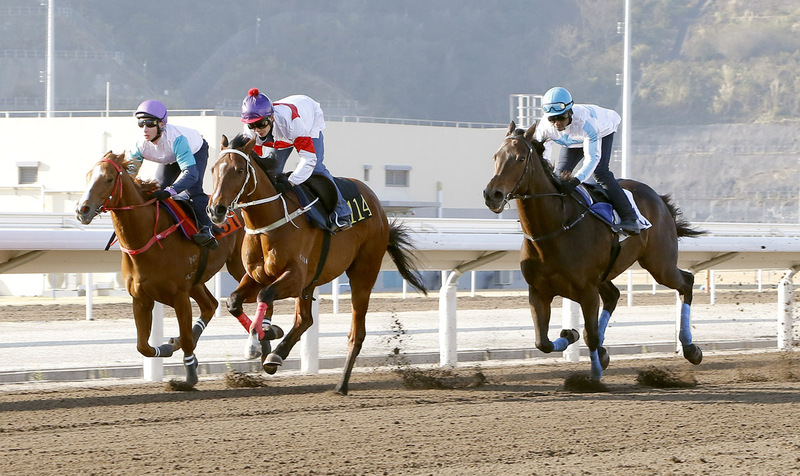 Some 90% of employees are recruited from Guangdong and the training they will receive will help advance professional standards. 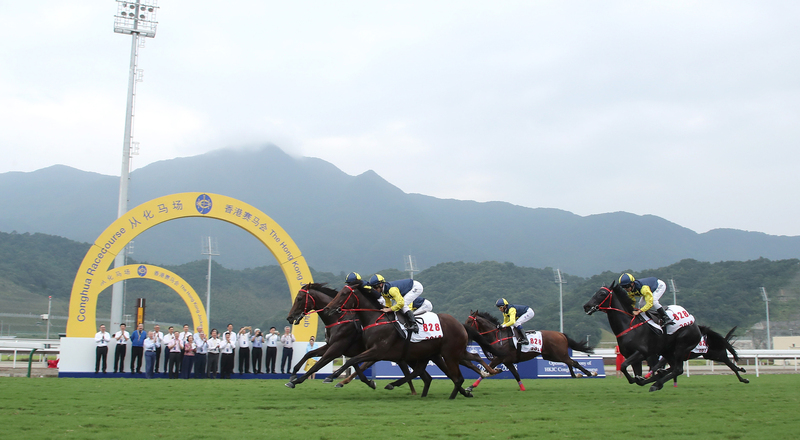 Conghua will also become a showcase for the sport of horse racing; the only place in the Mainland to experience world-class horses in action. 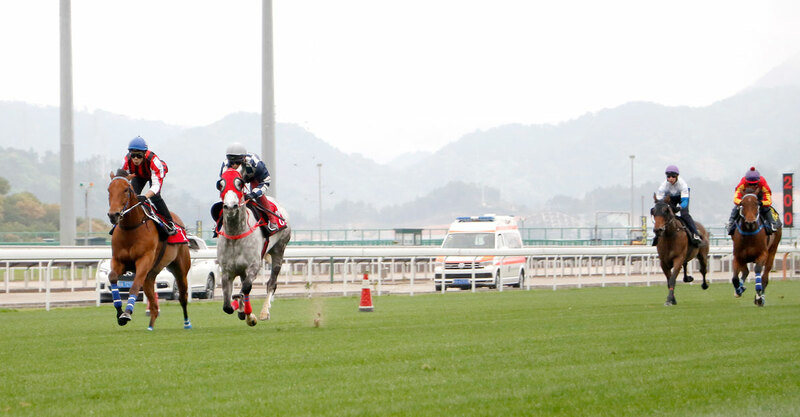 All of this will help raise Conghua’s profile both nationally and internationally. 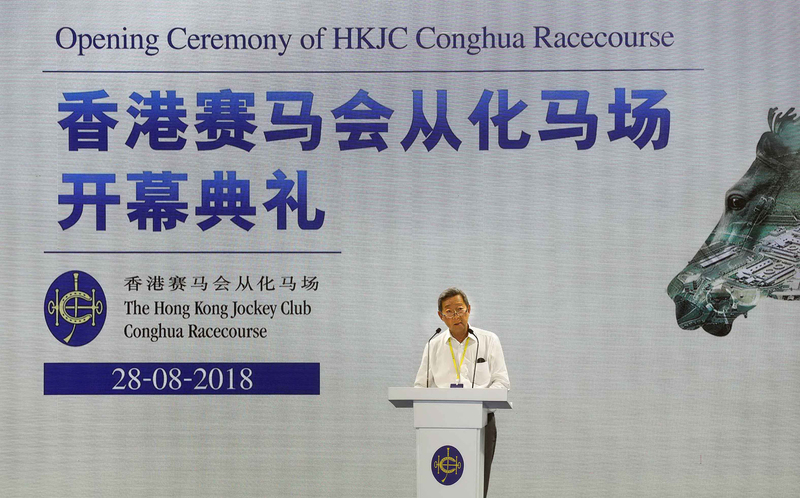 Club Chairman Dr Simon S O Ip addresses the 500 guests attending the opening ceremony of The Hong Kong Jockey Club Conghua Racecourse. 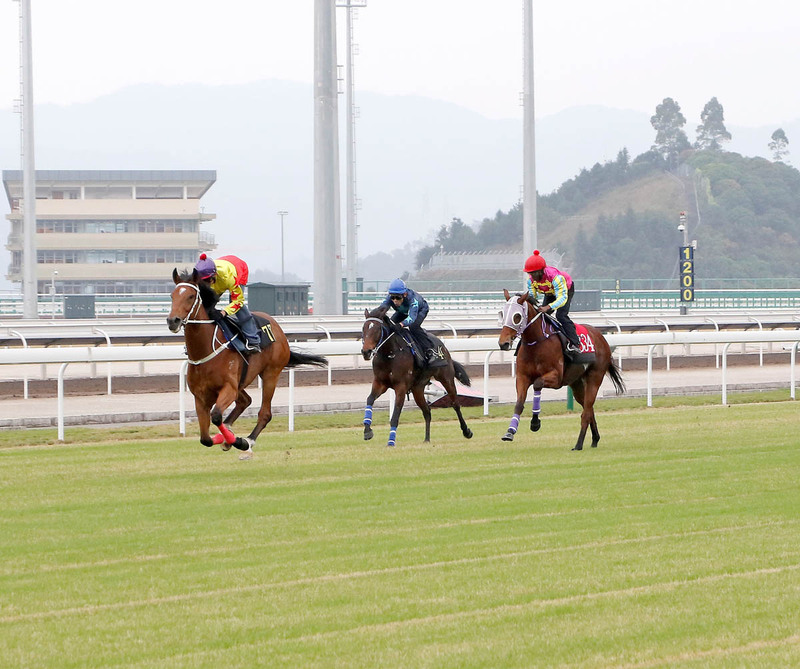 Chairman, The Standing Committee of Guangzhou Municipality People's Congress Chen Jianhua says Conghua Racecourse lays a solid foundation for equine industry cooperation between Guangzhou and Hong Kong. 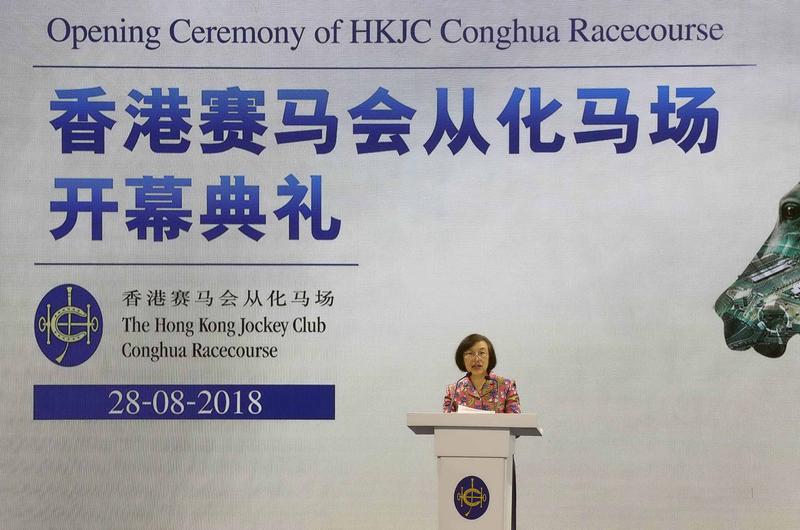 Secretary for Food and Health of Hong Kong SAR Professor Sophia Chan says the establishment of Conghua Racecourse sets an excellent example of the Bay Area development. 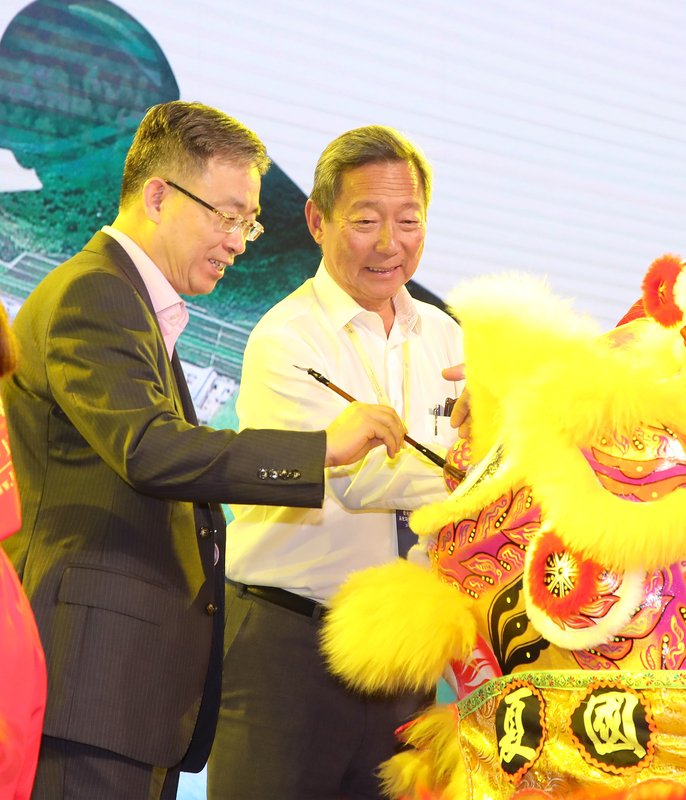 Club Chairman Dr Simon S O Ip (right) and Vice Director, Hong Kong and Macao Affairs Office of the State Council, Mr Song Zhe dot the eyes of the lion during the opening ceremony. 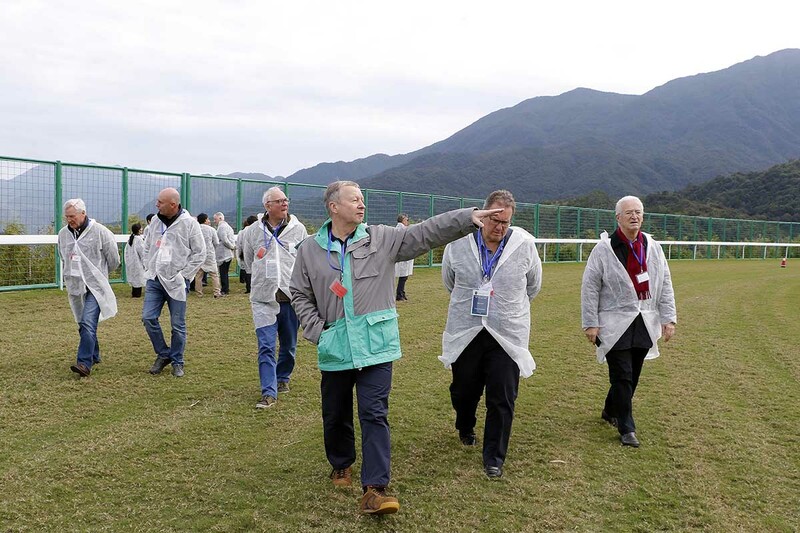 Officiating guests at the eye-dotting ceremony. 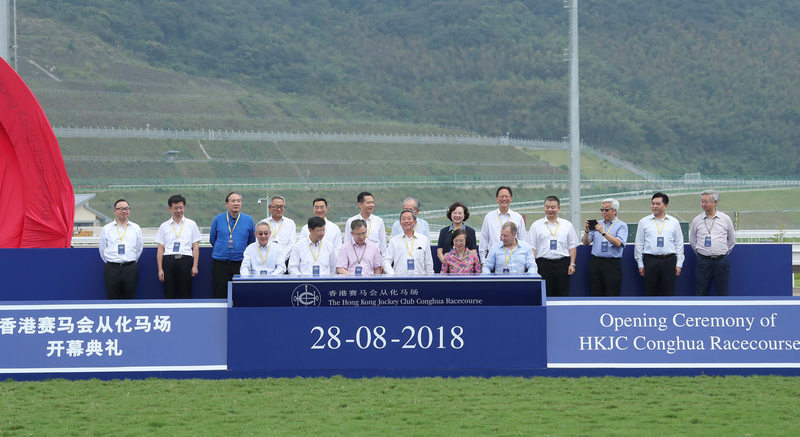 Club Chairman Dr Simon S O Ip (centre); Vice Director, Hong Kong and Macao Affairs Office of the State Council, Song Zhe (11th left); Chairman, the Standing Committee of Guangzhou Municipality People's Congress Chen Jianhua (9th left); Secretary for Food and Health of Hong Kong SAR Professor Sophia Chan (11th right); Club Deputy Chairman Anthony W K Chow (10th left) and Club Chief Executive Officer Winfried Engelbrecht-Bresges (10th right) officiate at the opening ceremony of Conghua Racecourse. 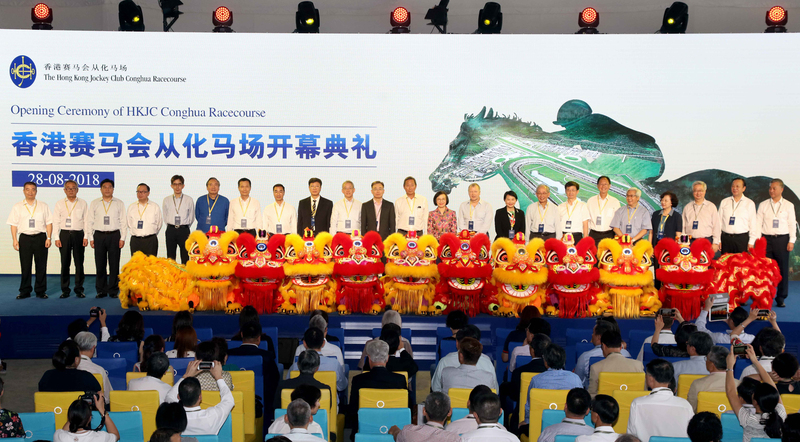 Other honourable guests are (from left) Deputy Director General, Guangdong Sub-Administration of Customs Zhou Yunbao; Deputy Secretary General, Guangzhou Municipal Government, Ma Shu; Inspector, Port Management Office of Shenzhen Municipality Liao Maoxiong; Club Steward the Hon Martin Liao; Permanent Secretary for Food and Health (Food) of Hong Kong SAR Philip Yung Wai-hung; Club Steward Stephen Ip Shu Kwan; Director General, Hong Kong and Macao Affairs Office of Guangdong Province, Liao Jingshan; Club Steward Michael T H Lee; (From right) Chairman, Chinese Equestrian Association Zhang Xiaoning; Chairman, China Construction Eighth Engineering Division Corp., Ltd Xiao Rongchun; Club Steward Silas S S Yang; Inspector (Grade Two), Department of Animal and Plant Quarantine, General Administration of Customs Li Yijuan; Club Steward Dr Eric Li Ka Cheung; Club Steward Philip N L Chen; Party Secretary of the Conghua Party Committee Zhuang Yuequn; Club Steward Lester C H Kwok; Permanent Secretary for Home Affairs of Hong Kong SAR Cherry Tse Ling Kit-ching. 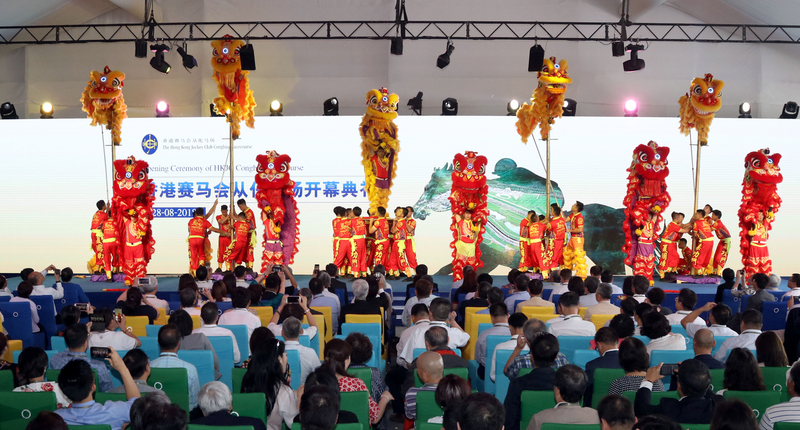 Lion dance performance at the opening ceremony. 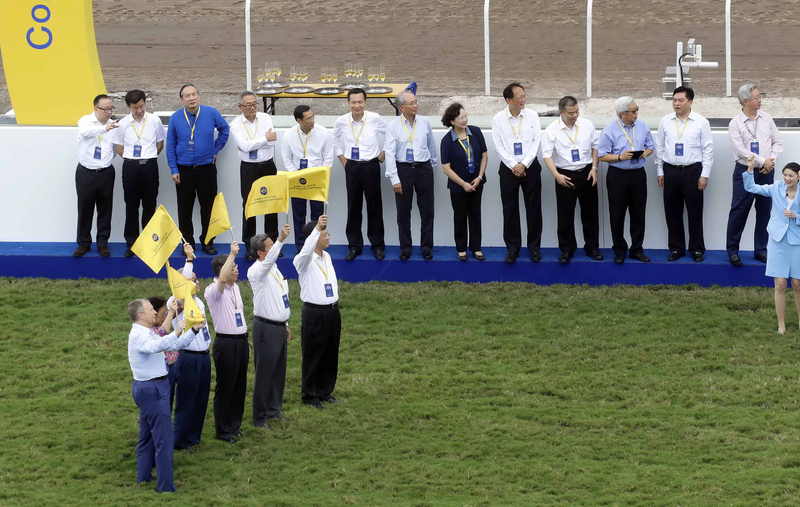 Officiating guests raise commemorative flags to start the horse jump-out as a highlight of the opening ceremony. 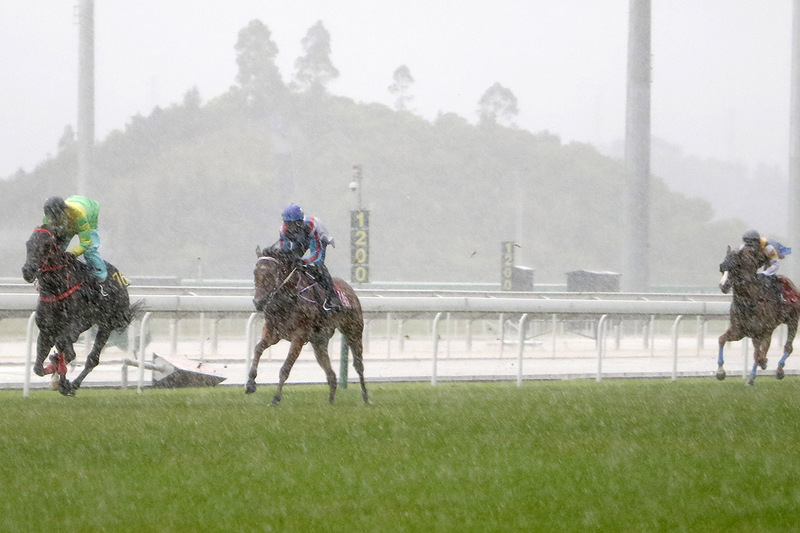 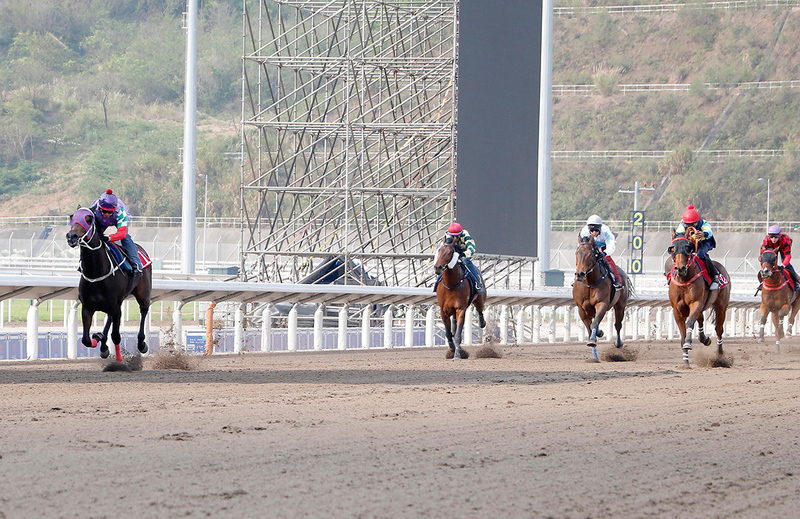 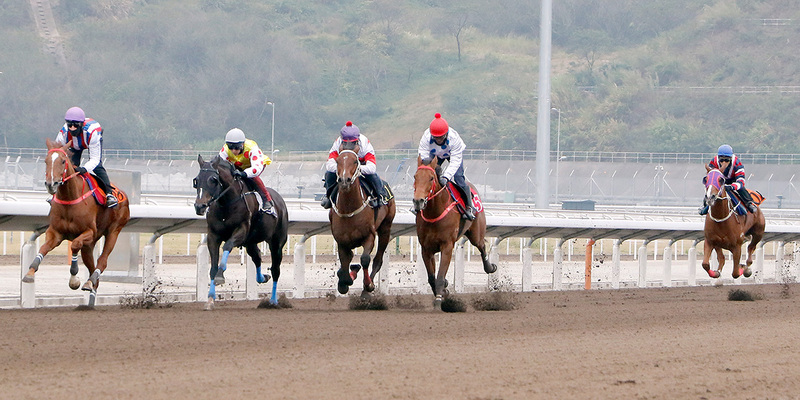 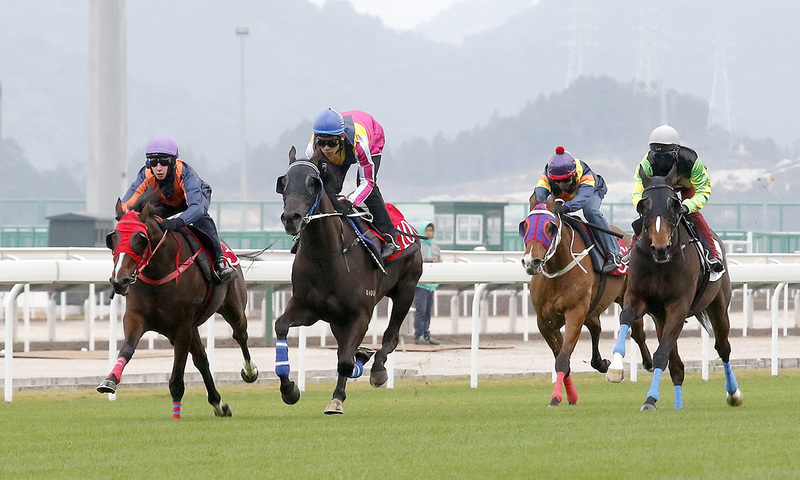 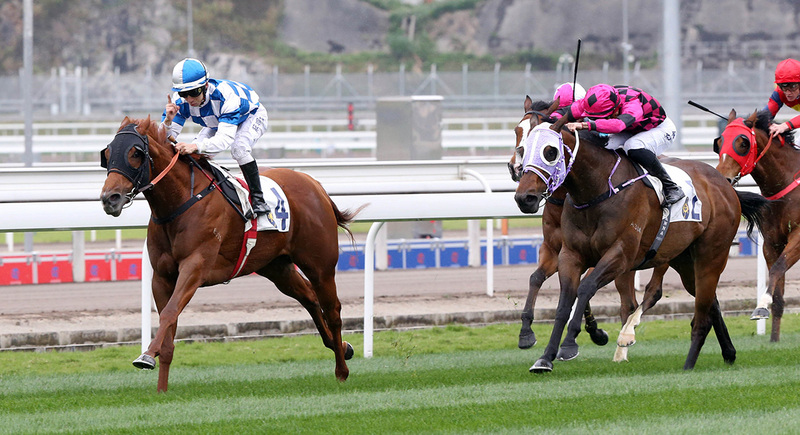 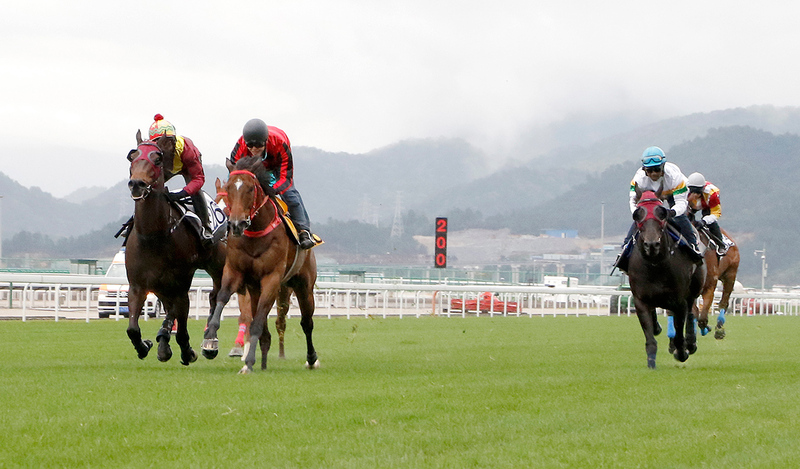 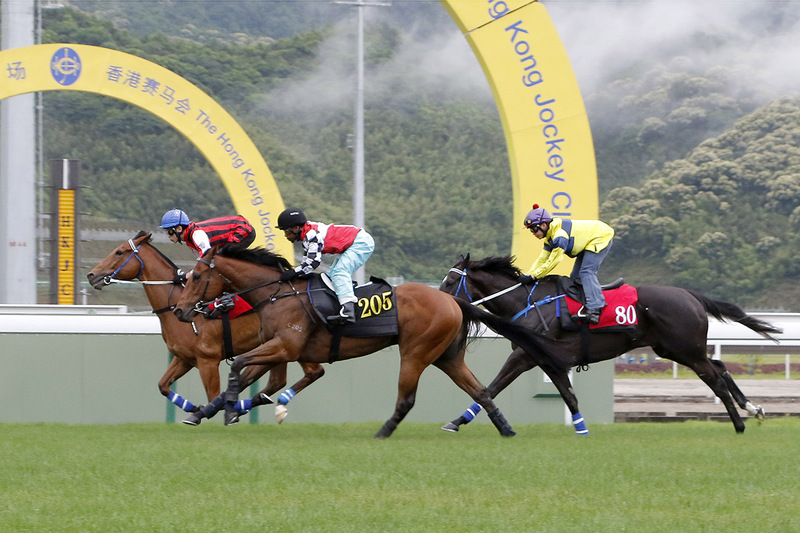 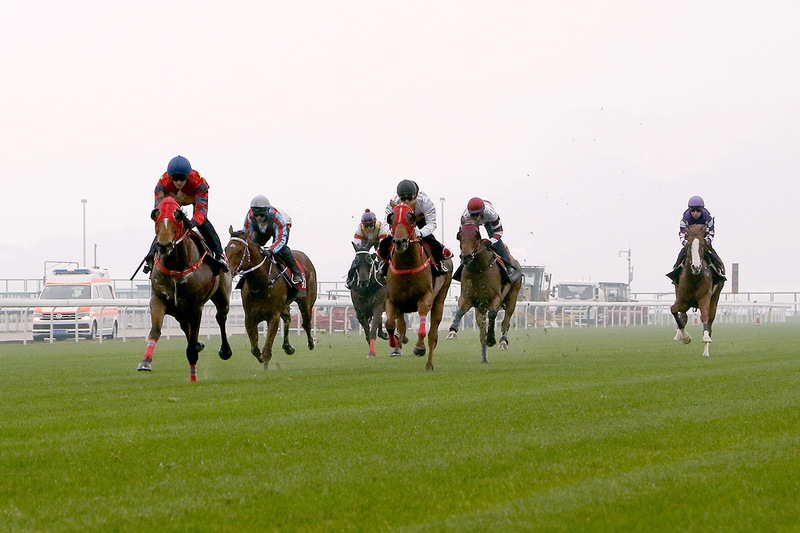 Six horses ridden by Hong Kong jockeys dash past the Winning Arch on the turf track. 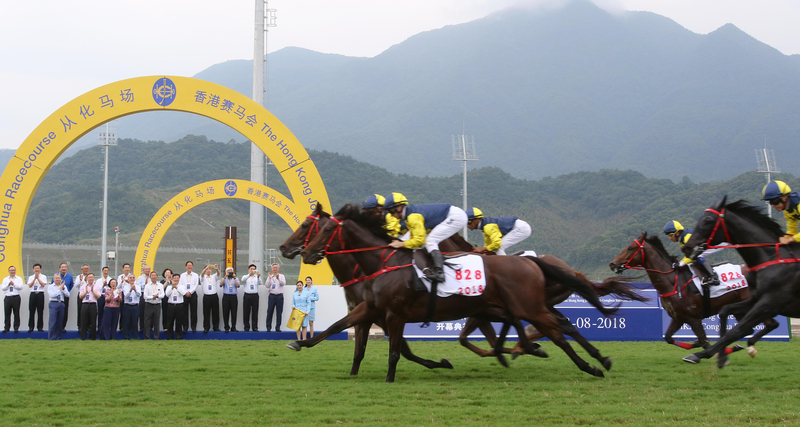 Officiating guests and jockeys share a toast at the opening ceremony. 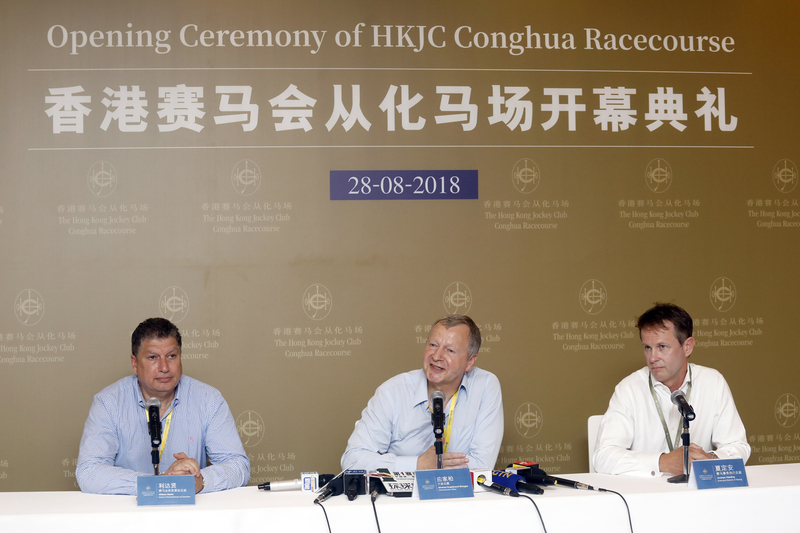 Club Chief Executive Officer Winfried Engelbrecht-Bresges (centre); Executive Director of Racing Andrew Harding (right); Director of Racing Business and Operations William Nader meet with Hong Kong and Mainland media after the opening ceremony.